Begin by cutting your cupcake liner as shown above. 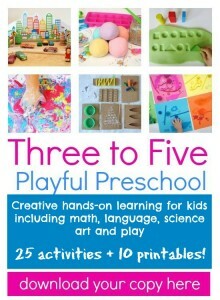 You are aiming to create three pieces that vary in size. 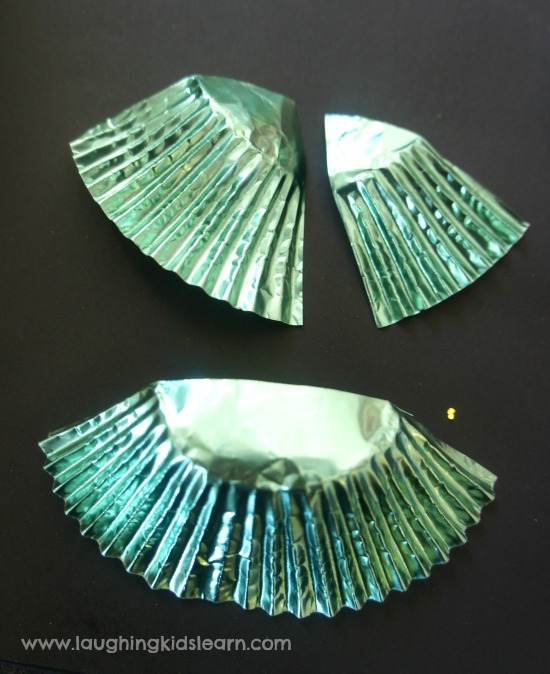 I used a green cupcake liner, however, you can use whatever you have at home. Christmas trees can be whatever colour you like. 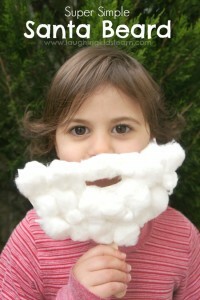 If you just have basic white cupcake liners, children could decorate them before they are cut. 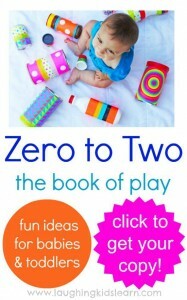 With the three separate pieces have your children add paste to the outer edges of the cupcake liner. Doing that will keep it’s 3D shape. Of course some children will just want to paste all over their piece, which is fine too. 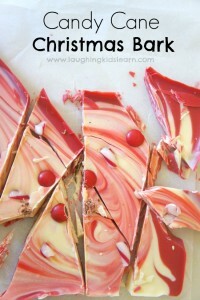 It will just be a flatter Christmas tree – still very beautiful. 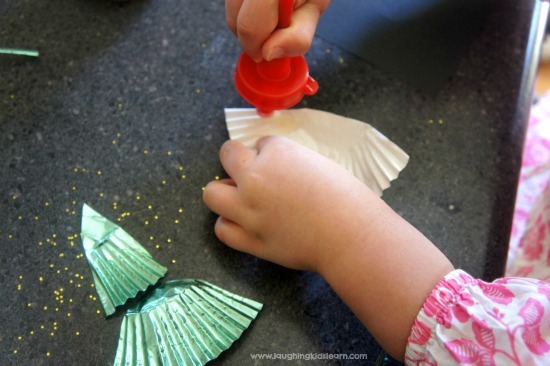 Pasting is such a great skill for children to learn. They are learning how to coordinate the paste brush or stick and the paper at the same time and making judgements on how much paste they’ll need to get the job done. Possum (aged 4 years) learnt quite quickly that using lots of paste caused the cupcake liner to get soggy. It’s all wonderful trial and error. 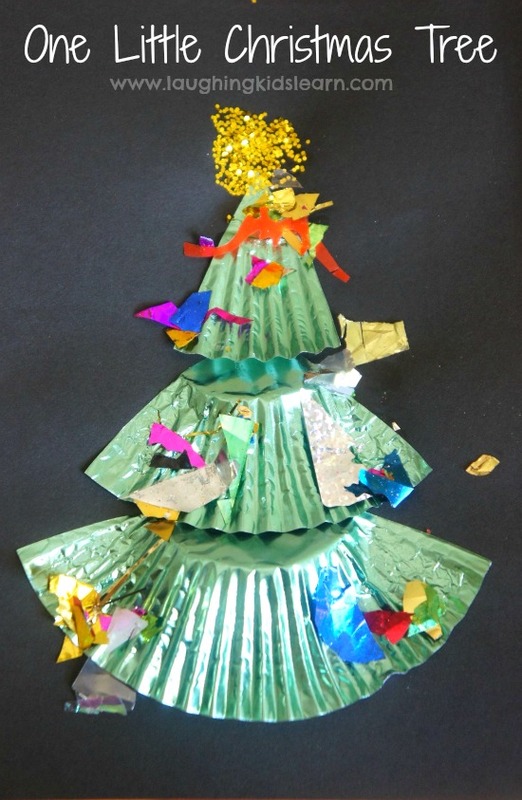 Once your child has put the cupcake liners in place your child can add a dab of paste to the top of the tree and sprinkle some gold glitter for the star. Adorable. This is also a great opportunity to use descriptive language and explain the differences between ‘top’ and ‘bottom’. 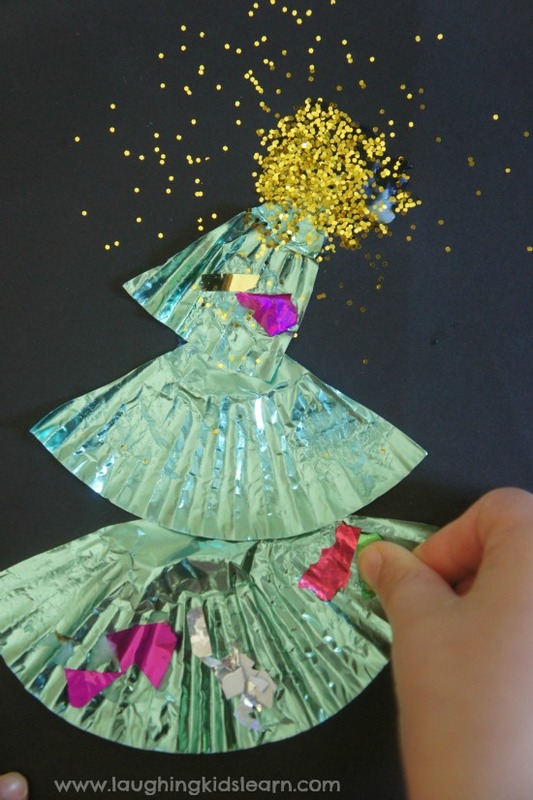 Next your child might like to add some extra sparkle and paste various dots over their tree. 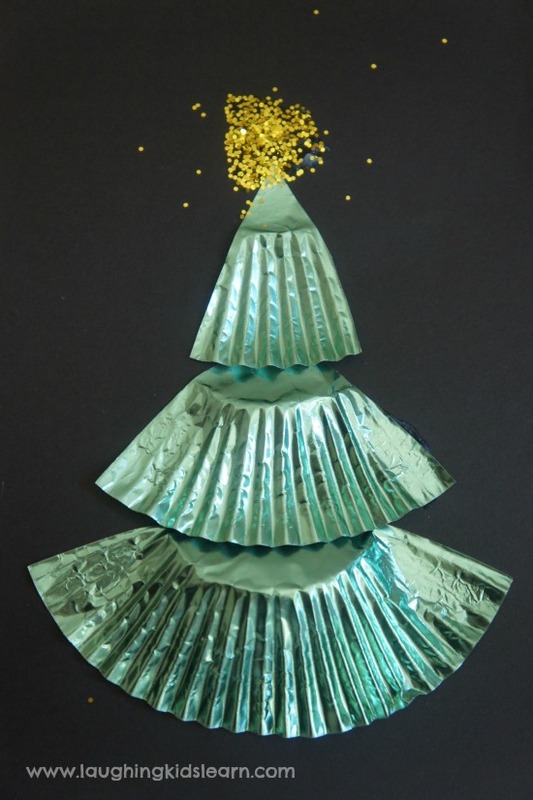 I’m sure you’ll agree that this little Christmas tree craft made from a cupcake liner is absolutely adorable and would look amazing on the front of a Christmas card or on display around the home or classroom. 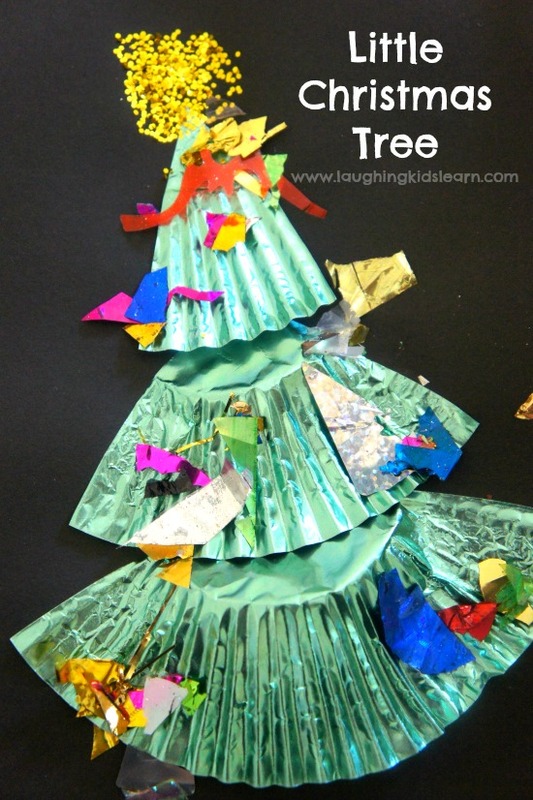 It’s a wonderful preschooler craft activity that has been inspired by the song, ‘One Little Christmas tree’, which I’m sure you know. What Christmas song do you love? 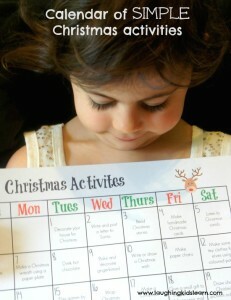 Want some more Christmas ideas for kids?